A few weeks after shooting down a Sukhoi Su-24M tactical bomber jet operating in Syrian airspace, Turkey sent a heavily armed battalion into the Zilkan military base in Iraq. The move can be seen as a compensation for the weakening of the so-called Islamic State of Iraq and the Levant (ISIL / ISIS / IS / DAESH) and the ISIL’s oil smuggling infrastructure. 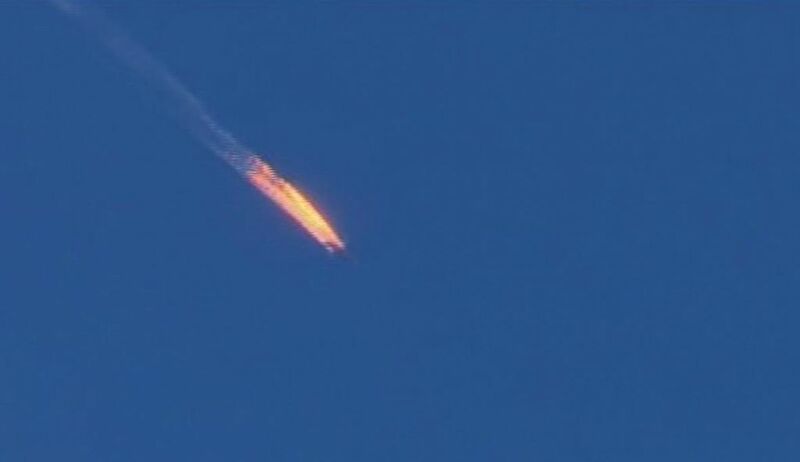 It can also be viewed as a Turkish preparation for the aftermath of the future defeat of the ISIL in Iraq. Amidst the Russo-Turkish row, the Turkish government dispatched a Turkish battalion of twenty-five M-60 Patton tanks to the Mosul District of Iraq’s Ninawa Governorate. The Turkish press even announced that Ankara had declared that it was establishing a permanent military base inside Iraq’s Mosul District. The Iraqi federal government reacted immediately by calling the Turkish move a hostile act that violated international law and Iraqi sovereignty. At first the Turkish government claimed that the deployment was approved by the Iraqi federal government and military, but this was quickly rejected as untrue in Baghdad by President Mohammed Fouad Masum, Prime Minister Haider Al-Abadi, Foreign Minister Ibrahim Al-Jaafari, and Defence Minister Khaled Al-Obeidi. Not only was the Turkish deployment rejected by the Iraqi government, it was also described as much too big for a training mission and Erdogan was derided as an outright liar by Iraqi authorities and parliamentarians. Then Ankara tried to defend its actions by absurdly claiming that it was approved by Iraqi Kurdistan’s autonomous Kurdistan Regional Government. It turned out that the senior diplomat Feridun Sinirlioglu, who was Turkey’s foreign minister at the time, in violation of international law had made an illegally agreement with the corrupt Kurdistan Regional Government President Massoud Barzani for establishing the base in the Mosul District on November 4, 2015. As a regional government, the Kurdistan Regional Government has no constitutional authority to make defensive agreements without the Iraqi federal government in Baghdad. Nor does it have legal jurisdiction over the area the Turkish military deployed to. Bashiqa is in disputed territory in the Nineveh Governorate that Kurdistan Regional Government claims. Other territorial claims include Diyala Governorate, Kirkuk Governorate, and Saladin Governorate. In June 2014, Massoud Barzani took advantage of the ISIL offensive on Mosul to send his forces to take control over these territories while the Iraqi military was busy fighting. 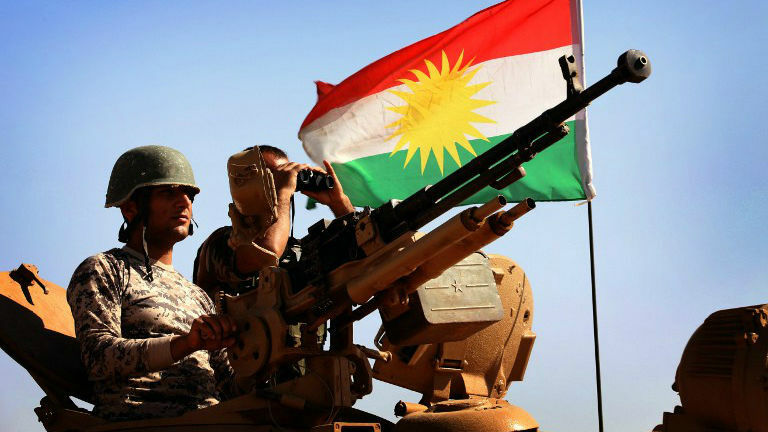 Thus, in parallel to the ISIL offensive against Iraq from Syria, the Kurdistan Regional Government opportunistically used the ISIL attacks to send its Peshmerga troops into the energy-rich Kirkuk Governorate, to gain control over part of the Mosul District, and unilaterally take control of the territory that the Iraqi federal government administrated. 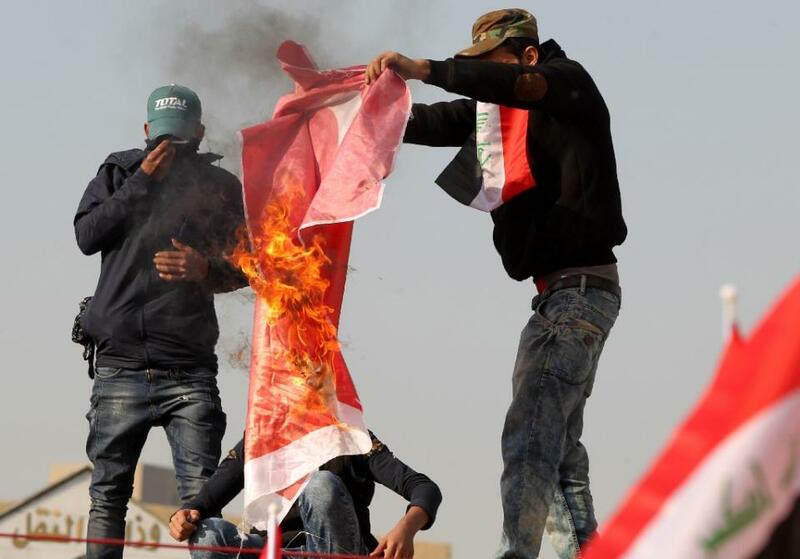 The excuses from the Turkish government continued as tensions with Iraq increased. Instead of removing the Turkish military unit that was sent to Bashiqa, Ankara pledged not to send anymore military reinforcements until Baghdad’s concerns were placated. Indirectly meaning Iran and Russia, Davutoglu would write in a letter to Baghdad saying the governments «who are disturbed by the cooperation of Turkey and Iraq and who want to end it should not be allowed to attain their goal» on December 6, 2015. Dragging his feet, Erdogan would add that it was «out of the question» and «impossible» to remove the Turkish military units and that the Turkish unit had been sent to Iraq to protect Turkish military trainers and advisors who he argued were posted 15 to 20 kilometers from the ISIL’s positions. 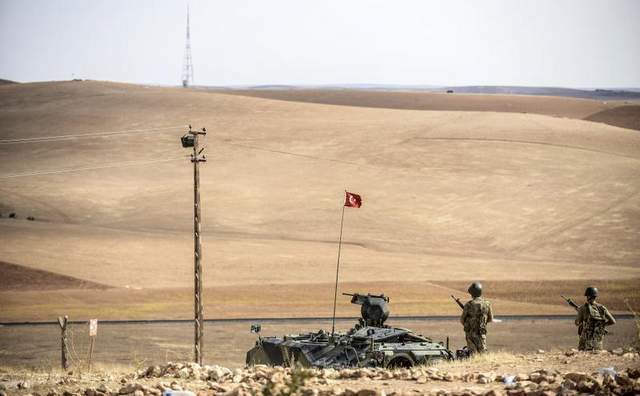 Interestingly, there has been no record of the Turkish forces ever facing a serious attack by the ISIL, during the zenith of the terrorist organization’s full strength, before the Russian strikes in Syria commenced on September 30. Speaking on Turkish television, President Erdogan would blame Iran and Russia of engineering the crisis between Turkey and Iraq, and then ingenuously argue that his government’s soldiers had entered Iraq to defend Turkish security interests and that Ankara did not have the luxury of waiting for the invitation of the central Iraqi government while Turkey was under threat from the ISIL. Mohammed Ali Al-Hakim, the Iraqi ambassador to the United Nations, would eventually deliver a letter from Baghdad to the UN Security Council on December 11 asking the UN to get Turkey to withdraw its military from Iraq. Ankara’s deployment to the outskirts of Mosul is a reaction to the successful campaigns by Iran, Russia, Syria, Iraq, and Hezbollah – the security alliance also referred to as the «4+1» – in weakening the ISIL. For the first time ever, the Turkish military had entered Iraq’s northern region without the justification of fighting Kurds. Calculating that the Iraqi federal government will be able to refocus its attention on the territorial dispute with the Kurdistan Regional Government, the Turkish deployments are meant to help the Kurdistan Regional Government consolidate the territory and energy reserves it opportunistically annexed from the Iraqi federal government in 2014; it was also revealed by Ankara that it intended to dispatch Turkish soldiers and military equipment to the Soran and Qala Cholan near the Iranian border. Iraqi parliamentarians, like Awatif Nima, have accused Turkey of entering Iraq to help the ISIL in Mosul and working to partition Iraq. Turkey has been cultivating ties with the clans of Mosul, particularly the Nujaifis. Turkish support for Iraqi Kurdistan’s separate oil export capacity has also weakened the unity of Iraq and the finances of both Baghdad and the Kurdistan Regional Government. Speaking to Al Jazeera in Orwellian language on December 9, Erdogan claimed that the governments in Iraq, Iran, and Syria were executing sectarian policies and then himself justified the Turkish deployment to the Mosul District in sectarian language. He told Al Jazeera that Turkey had elevated its military presence to protect Iraq’s Arabs, Turkomans, and Kurds that are Sunni Muslims. He then added that the Sunni Muslims all need be armed and trained to fight, which is the objective of Turkey’s mission. In this regard, not only has Turkey been planning to train and arm the Kurdistan Regional Government’s security forces, but also planning on doing the same with local volunteers in Zilkan that the Kurdistan Regional Government and Peshmerga Major-General Noorudeen Herki supportively claim are part of the Hashad Al-Watani in the Mosul District. Regardless of any affiliation to the Hashad Al-Watani, the «volunteers» in Mosul may end up being like the US and its allies trained and supported so-called «moderates» that later joined the ISIL in Syria. Despite Erdogan’s assertions that the Turkish forces in the Mosul District could not leave, they were redeployed northward inside Iraq into territory administered by the Kurdistan Regional Government on December 14. Prime Minister Davutoglu’s office commented that this was a part of a «new arrangement» where ten to twelve of the tanks were being relocated northwards. While Turkey attempted to get some legal backing from the Kurdistan Regional Government for its military presence, the redeployment from Bashiqa is an omission that both Turkey and the Kurdistan Regional Government understand that the latter has no jurisdiction to okay Ankara’s deployment into the Mosul District. The Turkish military movements inside Iraq are additionally tied to petro-politics and protection of energy supplies from Iraqi Kurdistan. The Turkish deployment to Bashiqa took place right after Russian airstrikes weakened the ISIL’s oil smuggling infrastructure. Undoubtedly, the subject of oil was mentioned between Barzani and Turkish leaders, because of Bazani’s involvement in Turkey’s illegal oil exporting business.